EUROPEAN PARLIAMENT - The priorities of the Romanian Presidency of the Council of the EU and the assessment of the Austrian presidency will be on the agenda of the first plenary session of the European Parliament, due over January 14 - 17 in Strasbourg. On Tuesday, the European MPs will discuss with the Romanian PM Viorica Dancila the priorities of the Romanian presidency, focusing on cohesion and common values, security and strengthening Europe as a global actor. Also on Tuesday, Ms. Dancila and the European Parliament President Antonio Tajani will hold a joint press conference. In next week's session, the European Parliament will debate the state of play on Brexit after the January 15th vote in the House of Commons on the accord agreed upon by PM Theresa May and the EU leaders. The members of the European Parliament will also debate and vote on rules to freeze EU payments to member states which jeopardize the rule of law, by means of actions such as interference with courts, or which do not tackle fraud and corruption. COOPERATION - In the past week, Romanian police and partners from the Schengen area have discovered some 600 people in relation with whom alerts had been entered in the Schengen Information System, reads a communique issued by the General Police Inspectorate and made public by AGERPRES news agency on Sunday.  The Romanian Police have enforced 25 European arrest warants. Also, some 250 people, wanted by the Romanian authorities, have been identified by foreign partners on their soil, following an exchange of information. AMBASSADOR - The new Israeli Ambassador to Bucharest, David Saranga, has called Romania a true friend, on which his country can count within the EU. In his first public speech on Sunday, the ambassador appreciated the significant progress made by Romania in the fight against anti-Semitism and xenophobia. He said that the entire world should recall the dark past and that the Jewish people, in particular, must be a model of tolerance. STRIKE - Some 3000 employees of the Oltenia Energy Complex, in the south-west of Romania, are on strike. Among other things, they demand higher salaries, holiday vouchers and a drop in the retirement age. The protests started on Friday, after the administration allegedly proposed an expenditure and revenue budget that included no pay rise and no holiday vouchers for the 13,000 employees of the complex. Company representatives have announced they will start talks with the trade unions on Monday. TOURISM - The Vienna Tourism Fair on Sunday hosted a live cooking session, staged by the My Transylvania Association and Slow Food Sibiu. Visitors had the opportunity to taste dishes made from ingredients from the Sibiu area, in central Romania. Sibiu is also participating in the Stuttgart Fair, which is unfolding until January 20th, the largest in Germany, with more than 250,000 visitors last year. At this fair, Sibiu has its own stand, alongside four local travel agencies. This year, the Sibiu area is holder of the title of European Gastronomic Region. BAD WEATHER - 12 counties in the north and west of Romania will be under code yellow warning for snow and blizzard until Monday afternoon. Also, the entire country will be affected by mix precipitations and powerful winds until Tuesday. Snow will pile up in many areas and strong gusts will be felt especially in the mountain areas, where the speed of wind will exceed 100km/hour. TENNIS - The Romanian tennis player Simona Halep, no.1 in the WTA rankings, will play against Kaia Kanepi of Estonia in the inaugural round of the Australian Open, which starts on Monday. Kanepi (70 WTA) defeated Halep last year in the first tour of the US Open. In 2018, Halep played the final in Melbourne, losing dramatically to the Danish Caroline Wozniacki. Another 5 Romanian tennis players will take part in the Australian Open: Mihaela Buzarnescu, who will face the American Venus Williams, Sorana Carstea, who will take on the Swedish Rebbeca Peterson, Irina Begu, playing against the German Andrea Petkovic, Ana Bogdan who will play against the Polish Iga Swiatek, and Monica Niculescu, who will take on Ekaterina Alexandrova of Russia. In the men's competition, Marius Copil is the only Romanian, and he will play against the Spanish Marcel Granolles.